My reaction was no surprise. I don’t mind at all looking at objects of nature out in their natural habitat. Inside my habitat, however, I find them repulsive. To me, it all makes perfect sense. But for those who are observing? I’m sure that they probably question my manhood. Luckily my lovely wife, to whom I have been married for only a handful of years, finds my squeamishness and sometimes cowardly ways to be endearing. Check back with me in five years to see how things are holding up. But I know that I am not alone. Movies and television have given me ample role models for those who also share a fastidious nature. Felix Unger was an early example on film. Rachel: What do you mean you quit?! You can’t quit! Rachel: Because you’re not finished yet, and I won’t have it! Greens do not quit! Joey: Greens? I’m a Tribbiani! Tribbianis’ quit! My own attempts at fortitude and daring lie somewhere between being able to change a tire and working out a stubborn cork from a wine bottle. Any chromosome that offers a facility with tools, motors, measurements, or displays of machismo somehow never made its way to me in any genetic fashion. Schoolyard fights back when I was in elementary school consisted of shoving one another for approximately five minutes, followed immediately by rolling on the ground to try to get the other guy into a headlock. A teacher or recess aide would always come by to break up the action before it advanced any further. The altercation would officially be declared over and we would all simply trudge back into our classrooms. As schools went, it wasn’t exactly a tough one. It wasn’t until my arrival to junior high and witnessing actual fists being used during brawls that I understood there was more to conflict than I had been previously made aware. Like Joey Tribbiani, I learned to quit not so much with grace than by speed. It was no accident that I thereafter lettered in track and field. If you can’t beat an adversary through brute force, then outrunning him was an acceptable substitute to me. For a brief period while in college, though, I carried what I thought was a deserved swagger of testosterone. I worked four summers at a golf course and apartment complex, and my specific duties were to maintain the clubhouse, pool, and mow and water grass on a section of adjacent apartments. The golf course greenskeepers and mechanics were my lunch and afternoon break cohorts. Though we came from different backgrounds and skill sets, I enjoyed being temporarily accepted into their world of tools, mechanical know-how, and bawdy jokes. 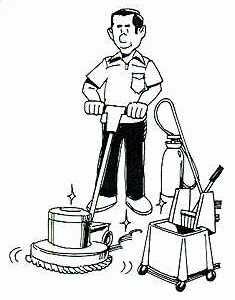 Of course, while they were changing oil, sharpening blades, and repairing motors, I was mopping floors, cleaning toilets, and mowing lawns. Those distinctions didn’t matter to me, though. I was their colleague. I would return to school each semester brimming with vigor and confidence. I knew how to operate a floor buffer, Man. Ah, youth. That was then. While I’m pretty sure I could still operate a buffer if I had to, for me the truest notion of identity is in the knowledge that none of us ever really change from the person we have been all along. We can conquer fears and also learn new tricks, but the basic instincts to which we all are subject are difficult to circumvent. My eyes will routinely gloss over when reading assembly instructions, physical contact with an animal other than a cat or dog makes me uncomfortable, and the only fist I ever make is one that I raise to the sky in celebration or joy. Which brings us back to the Cuban Tree Frog. Under the heading of “No Good Deed Goes Unpunished,” the frog was discovered last week in the apartment of my ex-wife. She has been temporarily relocated to Washington, DC by her job all summer, and she’s asked us on occasion to check on the condition of her condo to make sure everything is okay. On inspection of one of the bathrooms, Gorgeous noticed the frog sitting inside the toilet bowl. She was startled when she saw it and ran out to me with eyes bulging. After several seconds of verbal sputtering, she was able to elicit the words huge, frog, and toilet. I’m sadly not accustomed to hearing one particular of those words spoken much in my presence, though as Ted Kennedy once eloquently exhorted, “The dream shall never die.” Still, I admit that all three words together do make for an uneasy spectacle. My solution to the dilemma was to offer greater opportunities to the pesky miscreant by flushing it into the sewage system of our local community. Clearly its current life in my ex’s empty condo was unfulfilling. I knew we could do better for it. Gorgeous, however, was alarmed by both the inhumanity of my thinking, not to mention to it being environmental unsound. Benevolence is not my strong suit when it comes to amphibians inside a home, and my solution was quick. But Gorgeous was having none of it. Seeing that I was making no advances towards the bathroom, she took it upon herself to remove the frog herself. I heard several “ewws!” come from behind the closed door, but finally in a triumphant moment she ran out with the frog in a plastic bag while holding a spatula. Note to self: avoid dinner invitations from my ex for the next several months. 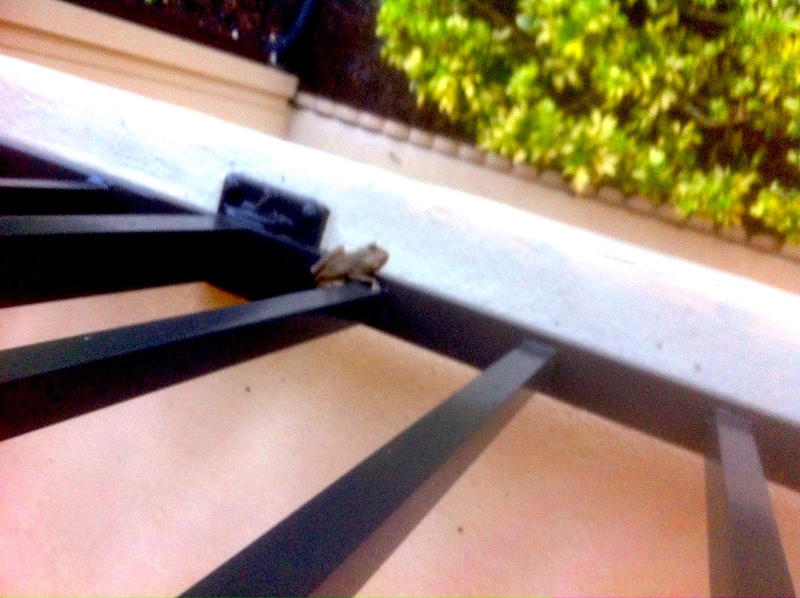 The frog was freed and returned back outside to its natural habitat. In a later phone call to my ex, I heard Gorgeous recount the adventure. You might say all of the recounting was done in the first person only. Bravado is often a singular sentiment. I have suffered no great sense of emasculation. I choose to believe that the woman who lives for culinary passion was merely exercising a desire to explore French cuisine to its finest effort. Cuisses de grenouille could be a future entrée in our home. Marty, Marty, Marty. What a wuss. Thank goodness Gorgeous had compassion for the poor frog. Reminds me of a friend that was visiting us when we lived in a two story house in the Bahamas and the second morning of his stay he sat down on the toilet and there was a frog in the bowl which he hadn’t seen and it jumped on his b__ls and he let out the loudest, highest pitched scream I’ve ever heard come from a man OR woman. We heard the scream all the way upstairs like he was just in the next room. We laughed about it for days. And guess what? I was the one that had to rescue the frog because I was afraid he might kill it. Tell your wife I can relate. Yes, that would certainly make an indelible impression on someone. I trust proper meds and therapy has mended the poor man’s soul! Perhaps women are just more compassionate. I have a bee relocation kit that I use when bees (or other creepy crawlers) come into the house or screened porch. It is identified as such and in the pantry. My husband always says, where’s that kit? That’s my cue to rescue the thing. After my last interaction with a raccoon in the porch, I am rethinking this role. However, until I find someone else compassionate to move in and take over the duties, it’s my job. So glad that Gorgeous is on duty down there. Wildlife will be freed! Strap them on Marty! They are not that creepy. Yes, strapping is for women. Flushing is not a good idea…. what goes down can also come up…. So, snakes in the grass: good. Frogs in the toilet: bad. I have to agree with Sue and Kate, you really need to man up. I think it’s our duty as humans, having infringed on the natural world, to take extra care of that world’s creatures when they mistakenly enter our homes. I’m glad Gorgeous was there to rescue that poor frog. You were brave enough to write this post (you had to expect being taken to task), surely you can face a few creepy-crawlies. 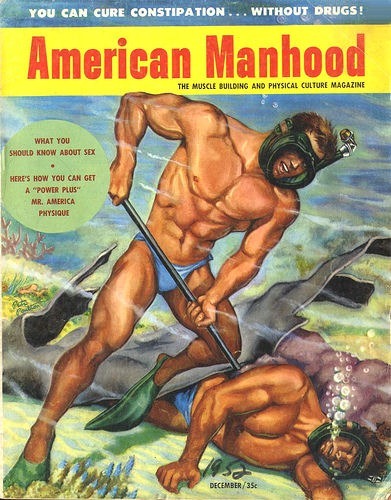 I think you’re right: man up, Man! My simple goal for probably 90% of my posts is self-deprecation and imbecility. I think I nailed both with this post. 🙂 Thanks for reading, and please continue to fight that good fight! By George, someone’s got to do it. Frogs really aren’t so bad. Except when you pick them up they pee. (My dog Duncan caught one in his mouth the other day and I have to say that when I saw him with his prize turned yucky, well, I haven’t laughed that hard in years. So picking them up is no big deal. Just don’t do it with your mouth. Fine, fine advice. I will heed it!